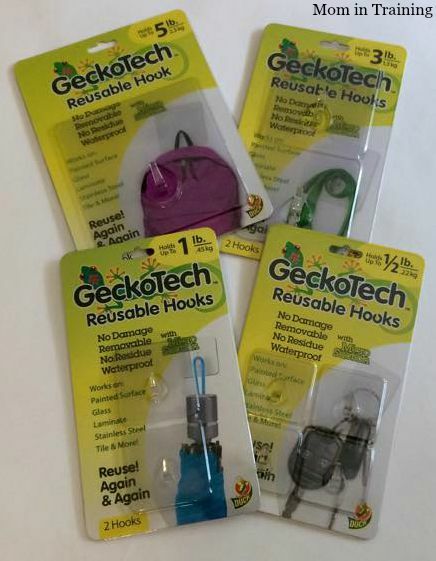 Stacy Tilton Reviews: GeckoTech Reusable Hooks are great for Back to School! GeckoTech Reusable Hooks are great for Back to School! During back to school, professors, parents and students have lots on their to-do list from shopping for supplies to adjusting to the new routine. With so many tasks, it’s tough to stay organized, but GeckoTech makes the process simple. We are in the process of remodeling so I haven't hung all of my hooks up yet. We are waiting until the new paint is on. I already have it planned out where I can hang two of the larger hooks for my kids backpacks. I am so excited because that means they won't be on the floor in the way anymore! The part I really like about GeckoTech hooks is that they can be applied to glass, tile, stainless steel, laminate, painted surfaces and so much more. That makes them so universal and helpful everywhere! And if you need help with coming up with creative ways to use GeckoTech hooks they even have a page full of inspiration for you.